Head of Delegation of the ICRC to the African Union Distinguished Delegates, Partners Present Ladies and Gentlemen, It is my honor and pleasure to speak to you at the opening of this Workshop, which is aimed at advancing the implementation of victim assistance obligations arising from various treaties in Africa, and to welcome you to the African Union Headquarters here in Addis Ababa, Ethiopia. 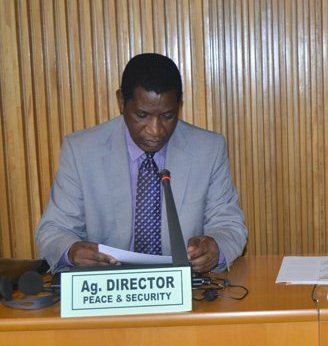 It is my honor and pleasure to speak to you at the opening of this Workshop, which is aimed at advancing the implementation of victim assistance obligations arising from various treaties in Africa, and to welcome you to the African Union Headquarters here in Addis Ababa, Ethiopia. I want to take this opportunity to thank the ICRC for their generosity in making this meeting a success. This co-operation between the African union Commission and the ICRC, in the area of Mine Action, spans across almost ten years, with our collaboration only growing stronger with each joint activity. I look forward to our continued engagement in the area of Mine Action, and in other areas within the Peace and Security Department, for the benefit of Member States, and the African people at large. The legacy of war is that it leaves behind survivors of the conflict scarred and suffering from the use of various weapons, and in particular explosive remnants of war. The victims today bear the scars of such cruel and inhumane weapons which have no place in the peaceful that we desire today. Victim Assistance has been a prominent discussion, including in the context of the Antipersonnel Mine Ban Convention. However, the desired improvement in the response to the situation of victims and survivors has not been realized entirely. It can be recalled that, at the continental level, the Organization of African Unity (OAU), in conjunction with the International Committee of the Red Cross (ICRC), organized at least three seminars to raise awareness of the landmines problem among Member States. This resulted into Resolution CM/Res 1593(LXII) that was adopted by the 62nd Ordinary Session of the OAU Council of Ministers meeting in Addis Ababa, Ethiopia, from 21-23 June 1995, in which it appealed to the International Community to give increased support to African national and regional institutions, responsible for giving assistance to victims of anti-personnel mines particularly, the African Rehabilitation Institute (ARI). On the other hand, the First Continental Conference of African Experts on Landmines, a Plan of Action that commits the Member States to the elimination of all anti-personnel landmines in Africa and the establishment of the continent as an Anti-Personnel Landmine-Free Zone was developed. It was endorsed by the 66th Ordinary Session of the OAU Council of Ministers held in Harare, Zimbabwe, in May 1997. Member States have subsequently met at expert level, and shared experiences in meeting their obligations under the Treaty. 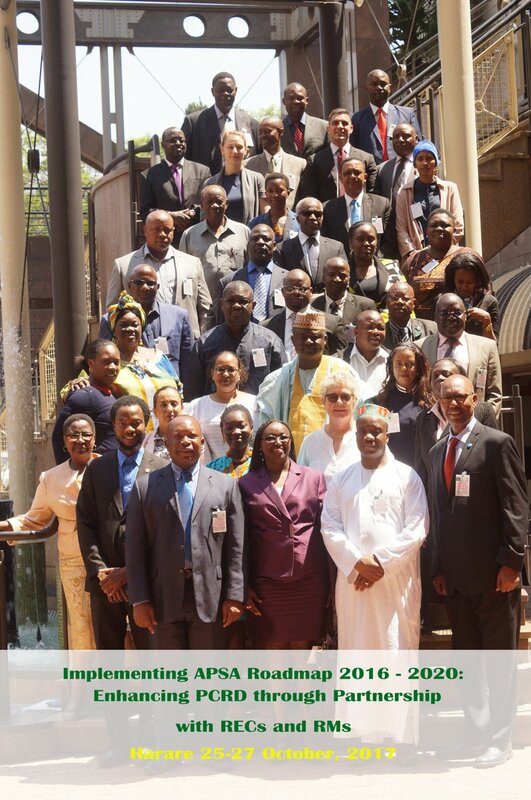 This plan of Action urges Governments in Africa, and the OAU/AU, to address the plight of victims and survivors and take renewed cognizance of their problems with a view to meeting the health and social needs of all landmine survivors in Africa. It further encourages that to be optimally effective in bringing more and higher quality assistance to landmine survivors in the long term, a structured flow and analysis of information about the entire mine problem in any given country is needed. At regional and national level, in-order to ensure that this issue is handled in a co-ordinated and efficient manner, it is important that implementation takes on a multi-sectoral approach since the concerns over the victims have to be addressed by different line Ministries, and Civil Society Organizations. In the setting of priorities for the allocation of scarce resources among mine clearance initiatives, community mine awareness programs, and the provision of health and social needs for landmine survivors, various stakeholders need to be involved in the process in order to ensure that there are no gaps or overlaps. With Governments at the fore front, we urge that programming for landmine survivors is mainstreamed in the formulation and execution of national policy and legislation, and other decision-making processes. In any society, the ease with which a survivor adjusts to their new physical challenges depends, to a great extent, to how the community they live in, and the available health services, receive them. I would like to commend the strides taken by Member States as they fulfill their obligations under the various treaties aimed at addressing the plight of victims of various weapons in the post conflict recovery settings. Your sustained efforts in this offers a new lease of life for victims, including access to appropriate medical care, physical and sensory rehabilitation, psycho-social support, education and skills training and income-earning opportunities. Let us combine strategies aimed at mainstreaming disability as a crosscutting issue in all aspects of programming, along with specialized interventions and programs specifically in support of Explosive Remnants of War survivors and victims. Having said that, I would also like to highlight that the role our Partners cannot be taken for granted. They come to our aide when we have shortfalls in our financial resources, they strengthen our technical capacity and facilitate experience sharing forums. This vital support ensures that numerous Mine Action, and in particular Victim Assistance programs, are sustained in AU Member States. 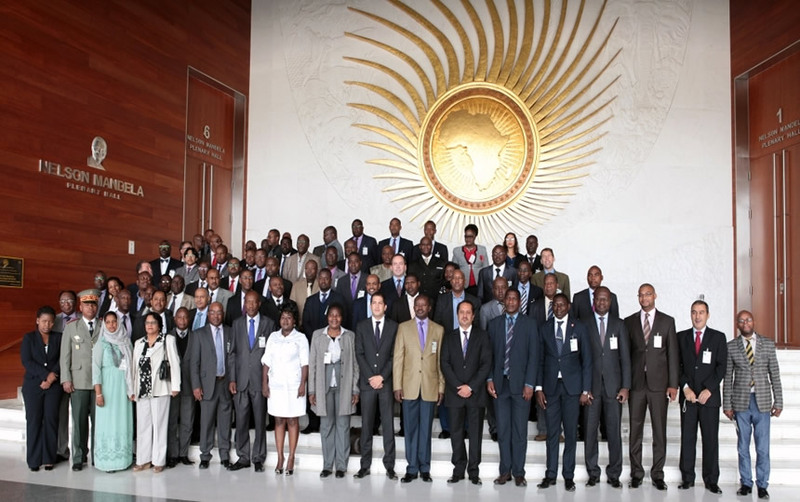 The African Union will continue to promote the integration of victim assistance into broader national policies, plans and legal frameworks related to disability, health, education, poverty reduction, development and employment. In the medium to long term this is the best way to ensure national ownership and sustainability in this pillar. Let me end by, once again, welcoming you to this meeting. I hope that this forum will unite us in strategizing for improved support to weapons victims, but more so in the elimination of anti-personnel landmines, which should be part of a comprehensive, coordinated effort from all stakeholders.